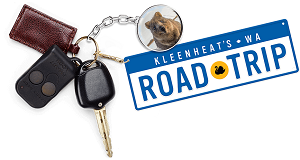 Kleenheat’s WA Road Trip – $30,000 in summer prizes to win! We’ve hit the road, WA. As the local name in natural gas, Kleenheat knows WA better than anyone. So this summer we’re exploring our home state with your chance to share in more than $30,000 worth of prizes along the way. There’s plenty to love about summer in WA: the sunshine, beaches, barbecues and wide open spaces. Kleenheat’s proud to be a WA born and bred company, which means we’ve seen and done more across WA than most. So imagine our surprise when our fellow staff member, Emily, somehow managed to convince the bosses to let her take our summer competition on the road. Now she’s enjoying a dream ‘working holiday’ celebrating some of the places that make WA a great place to call home. > Watch how it all started. Sure, Emily’s basically won the workplace lottery, but this summer’s really about prizes. Lots of prizes. 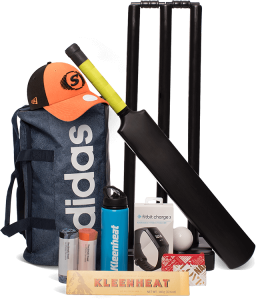 Simply follow Kleenheat’s WA Road Trip and you’ll have the chance to win awesome prize packs – filled with electronics, VIP experiences, gift cards and more – helping you make the most of WA summer. Emily will drop regular cryptic clues on Facebook for her next WA Road Trip location. Just guess where she’s ‘working’ across our great state and you could win. Each week one lucky winner will score our major summer prize pack, while 10 runners-up will each pick up a $100 Coles gift card. Nice! Follow Kleenheat on Facebook for weekly cryptic clues to Emily’s next WA Road Trip stopover. Guess her location by commenting on her Facebook post. Keep an eye out for new clues as they drop across the summer. New week, new clue, new chance to win. Sounds like a pretty sweet WA summer to us. We’ve got them crossed for you too! All the best Erin! Let’s see if you can guess where Emily is next! When is the next clue ?? Hi Debra, the clue will be revealed every Friday on kleenheat.com.au/roadtrip and on our Facebook page. Emily is pretty lucky! We hope you enjoy exploring WA with her. Kleenheat is a WA company. Is that the truth? Hi Marion, that’s right! Kleenheat is Australian owned and WA based! Hi Rhonda, the clues will be released every Friday on kleenheat.com.au/roadtrip and also on our Facebook page. The clue will also be revealed in the Sunday Times each week. Good luck! Would love to enter but am not on Facebook :(. Instagram competition maybe??!! Just made this weeks entry before cutoff time phew!! Hopefully last in, first drawn out! Fingers crossed! We’ve got our fingers crossed for you as well! Maybe first in, first drawn out next week! Do you have to comment answers on the FB post? Or do entries via the link that”s supplied count? Kleenheat / Blog / Competitions / Kleenheat’s WA Road Trip – $30,000 in summer prizes to win!